Just 15 minutes from Barcelona we find Castelldefels, a city open to the sea and ready to welcome families with open arms. Enjoys a privileged location between two natural spaces of great landscape value such as the Mediterranean Sea, with 5 km of white sand, and the Parque Natural de Garraf, a perfect place for trekking and excursions in family. 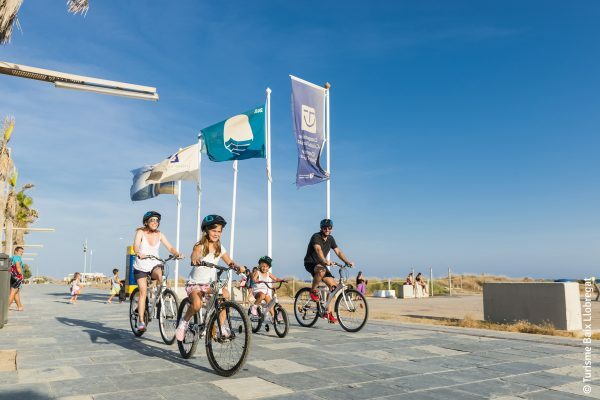 The vocation of Castelldefels to children is undeniable, as the Seal of Destination for Family Tourism Guarantees it (Sello de Destino de Turismo Familiar = DTF) that was awarded by Agencia Catalana de Turismo de la Generalitat de Cataluña in the year 2015. This certificate distinguishes the municipalities that are especially sensitive to this segment of tourism demand, and provide equipment and services tailored to the needs of families with children. 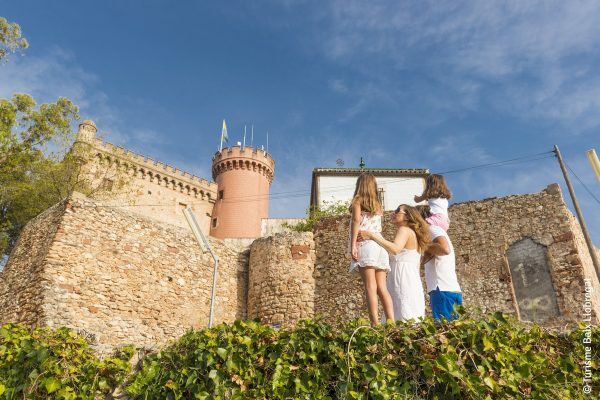 Castelldefels stands out among other destinations for the facilities and services dedicated to the tourism family such as the delivery of identification bracelets for children or family rooms with accommodations or directly communicated between them so that the family is always together. In addition, also have cribs in the case of travel with a baby. They also have children’s pools with safety, clubs for children on the beach, meals adapted in restaurants and a wide programme of animation, fun and services intended to entertain children in the House so they spend big. If to all this we add its 300 days of sunshine a year and the mild Mediterranean climate, we will obtain the perfect destination for a family holiday. 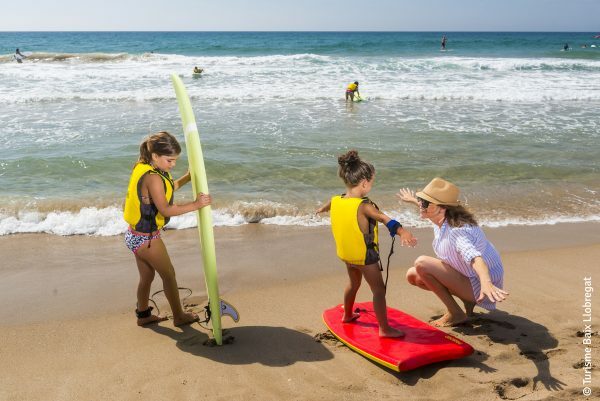 Castelldefels Beach has received several awards that guarantee their quality and suitability for children. Since 2006 it obtained the Bandera Azul and one year later, in 2007 the Instituto de Calidad Turística Española It has awarded the Q distinctive quality to its services and facilities. In addition, in the year 2011 was awarded the Bandera Ecoplayas. These certifications will be adding the ISO 9001 and Sictec. The 5 km of coast of Castelldefels are divided between the beach of la Pineda, Lluminetes Beach and the beach of the Apeadero. In any of them can play with kids, swim in the warm waters of the Mediterranean, a walk, and why not?, the courage to practice any water sports. This beach has several bars in which a snack, play room for children, sun loungers, awnings and umbrellas to be more comfortable, sporting facilities, wooden walkways to access the sand, showers, surveillance, portable toilets and WiFi free. 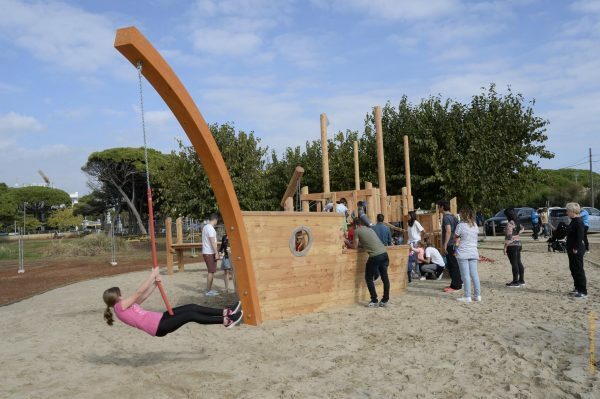 In high season, children can play in any of the nine areas of children’s play provided on the beach to which joined other three located in the green spaces that are together in it. There is also a of the Mini Club Infantil del Parc del Mar, a place of leisure and fun for children aged 4 to 9 years. The other great natural environment that characterizes Castelldefels is the Parque Natural del Garraf, almost thirteen thousand hectares which is divided into two very recognizable geological areas: one of limestone and Dolomites and a reddish clay. This makes your landscape is colorful and cheerful. Families who love nature will find multiple amusement options since several routes on foot or by bicycle, activities that allow us to enjoy the landscape and fresh air that we breathe there can be. In addition, at the entrance to the park itself is the Centro de Actividades Ambientales where are tasks of education and environmental awareness. There is also an Astronomic Observatory. The itineraries of the Park are duly marked and tend to be circular, visiting different places showing us their natural and cultural wealth. At the information points we can request brochures to make these routes of self-guided form. 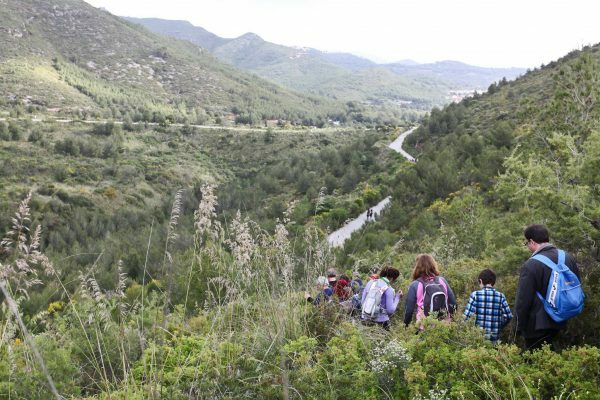 The itineraries are the Camino de las Costas, Camino Medieval and Sierra de Can Perers. In addition, there are two guided tours to the Fons de Vallgrassa and to the Morella. And in the heart of the Park, you will find a little surprise: la Plana Novella, an art nouveau Palace built in 1890 which currently serves as a Buddhist temple and residence for the monks. Here we can make the tour not only to understand the characteristics of the building but also to bring us closer to the Buddhist culture. The guardian of the city is undoubtedly the castle which rises at the point, highest hilltop, watching the city at his feet for centuries. It was built in the 16th century although since the century ten existed a church in the same place built on Iberian and Roman remains. Their function was, in principle, protect the city of Muslims and, later, of the Barbary pirates. The castle was acquired by the Ayuntamiento de Castelldefels in 1988, and since then began work for the recovery and restoration that have survived to this day. Currently it is a living space where he held various events and activities in the city. In addition to free weekend visits, the second Sunday of each month held an open day which is called from “Domingos en el Castillo”. A unique opportunity is to visit it because it recreates the trade in the blocks and they carry out different activities and shows on the inside and also in the gardens. 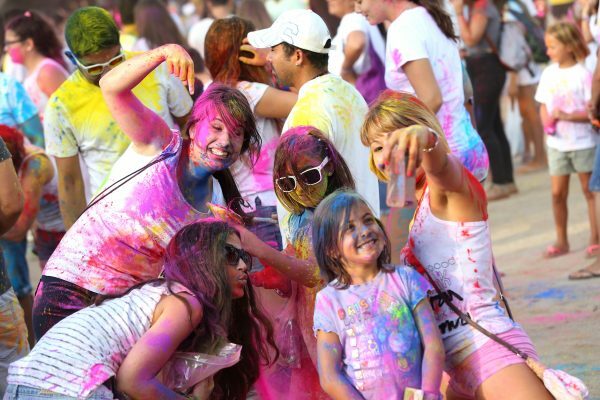 But not just here in Castelldefels offers more fun family holiday. Popular festivals will help us to plunge into the history and tradition of the city and we also have a wide variety of theatrical performances, music concerts, exhibitions, readings of stories, dance displays and other activities valid throughout the year. 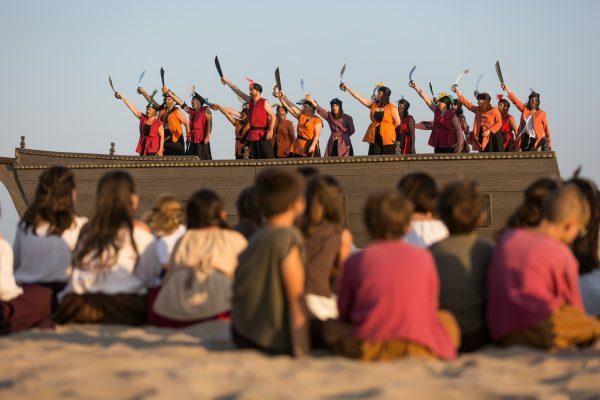 The most outstanding parties of Castelldefels son Sant Ponç (last week-end of may), las Fiestas del Mar (16 de julio), la Fiesta Mayor de Verano (15 de agosto), la Castañada (31 de octubre) y la Fiesta Mayor de Invierno (8 de diciembre). You can also visit some of its monuments, as for example, Iglesia de Santa María, built from the old building from the 10th century between the years 1900 and 1901 and that after the fire suffered during the Civil War, it would be restored in 1948. Another fun activity that we perform with children is to find the twelve towers which are still scattered throughout the city. These buildings were built in the 16th century due to the attacks that Berber pirates took place in the Mediterranean coasts. Although currently they are privately owned and the interior cannot be visited, do not cease to be a great adventure travel Castelldefels in search. Finally, we can take a tour of masías, typical rural buildings of Catalonia of which we find some copies in Castelldefels. You can visit those that are owned by the city. Castelldefels, we are going to find all kinds of services and a high quality resource for sport because we are professionals, amateurs or tourists in search of thrills and new experiences. Conditions of this city are more than optimal so that we devote to the sport in a unique natural environment with optimal conditions both of weather facilities. Not only you will find professionals who will advise us in any moment but also an equipment suitable for every sport and a great attention in regards to medical and health services. All this brings together so that we can always fun with maximum safety. Different facilities of the town will allow us to devote ourselves to the rowing, canoeing, kayak, cable and skiing, sailing, basketball, hándbol, volleyball, football and indoor football, tennis, paddle, swimming, badminton, running, triathlon, trekking, cycling and BTT (Mountain biking) among others. Moreover, its calm waters have made Castelldefels is a certified city with the Polo de Excelencia Turística by Turisme de Catalunya in rowing and canoeing. 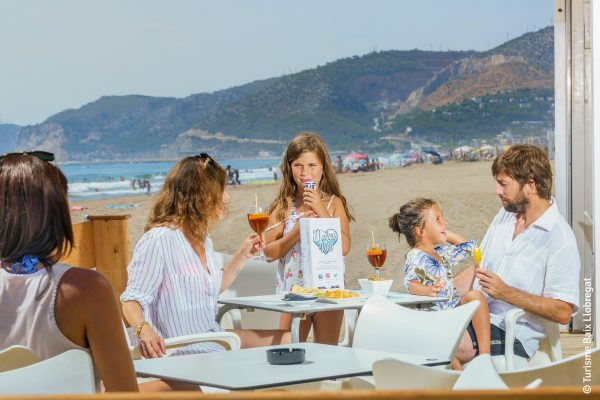 Castelldefels has preserved its agricultural tradition offering an extensive range of local produce which you can taste in its restaurants in the form of traditional, but also modern dishes in a delicious fusion of flavours, smells and colours. Some of these products are cherries, artichokes or asparagus that characterize the typical “taste of the orchard” of the area. The third weekend of September is celebrated the Mostra de Cuina de Castelldefels that restaurateurs in the area gather to develop their most representative dishes to give them to prove to the audience.